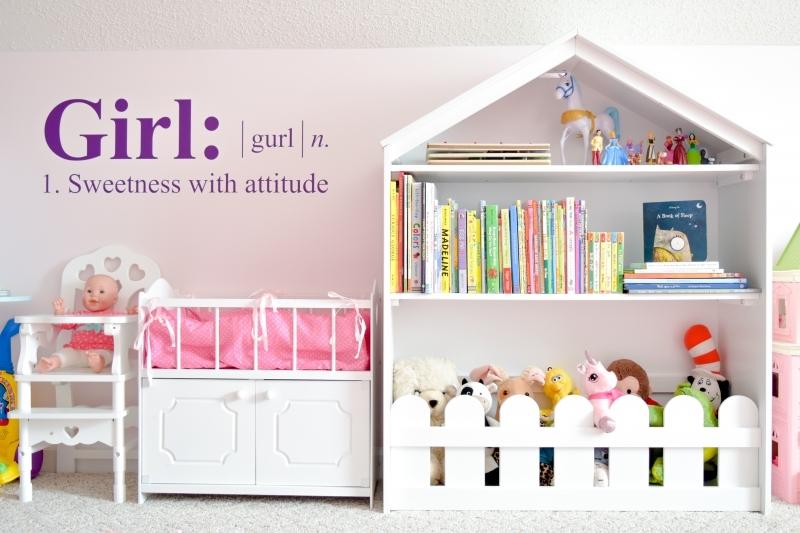 I said it in Part One of the Girls Dream Playroom Makeover reveal and I’ll say it again. This room was a h-o-t mess (literally and figuratively; it’s above the garage and is always warm and always messy). The space was pretty much a catch-all for everything, had no rhyme or reason to the layout, and was basically just a drab space. In order to fully appreciate the after of this side of the room, you have to take in the before. As I mentioned in Part 1 of the Dream Playroom Makeover reveal, the room is split into two parts: the inside of their “home” shown in today’s post and the outside (shown in Part 1). I honestly can’t pick a favorite spot in this space so let’s just go around counter clockwise and take a look at all of it. There are links to almost everything throughout this post. I hope you love it as much as we do! The Happy Home Storage Bookcase from Delta Children was the last piece to be put in place in the room and it was so worth the wait. It sits right smack in the middle of the space and is an awesome feature piece. I love that it holds their books, puzzles, Cinderella figurines, and stuffed animals while also fitting into my whole “home” theme by being it’s own little house. I mean, the name is “Happy Home” – perfect, right?! I like to think of it as the “door” that leads outside and back in, so to speak. It’s a great size and is super adorable. My girls love it (and so do I). I decided to put the baby bed and high-chair in-between the corner kitchen and bookshelf because 1. It just so happened to fit there, and 2. I liked having the high chair next to the kitchen. My girls love to pretend to feed their babies; they’re the cutest little mommies. Oh man. My girls love-love-love this space. While they had a play-kitchen before, this one is brighter and big enough for them both to play with it at the same time. I added a 3m hook to the left side so I could hang their pretend apron and chef hat. I also got rid of all their old pots & pans and replaced them with these pots and this dish set (that matches the colors perfectly). Inside the fridge is new (sturdy) pretend food that I bought, too. We love this kitchen! Next to the kitchen is their “laundry room” that holds their cleaning supplies and washer/dryer unit. 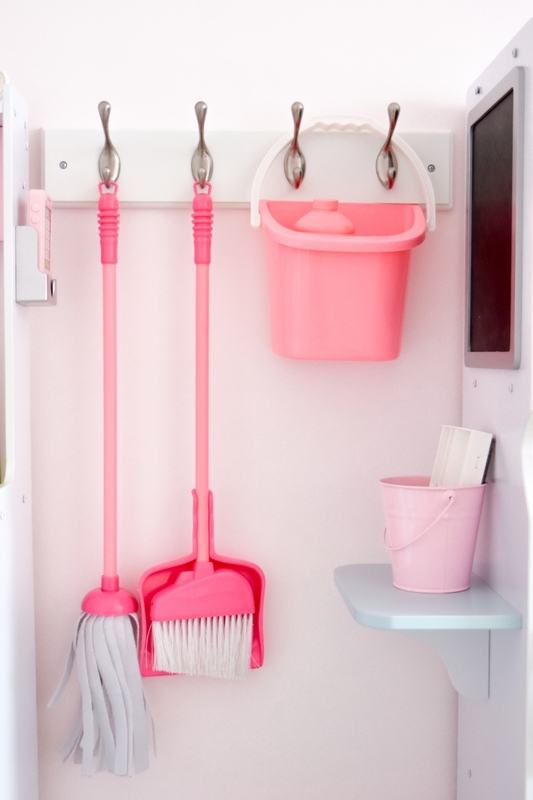 Our mop & broom hang on hooks in our laundry room so I thought, how cute would it be to do the same with theirs? so I got online and found this 4-hook hanger and it fit perfectly. I get a kick out of how cute it all is hanging there. The washer/dryer unit matches perfectly with the kitchen and my girls are obsessed with it, too. The little laundry basket at the bottom is just darling and they love the chalk board on one side and the iron/ironing board on the other. The ironing board is the perfect height to fit their little vacuum under it. The vacuum is old so check out the newer version and this cuter one. I wanted to pull in the floral element of the “Magic Garden” to the “inside” of the “home” so I got this set of 3 plush flower rugs for this side of the room. In between the closet and the entryway door, there’s a small space that fits a toy box my husband built but it is otherwise dead space. I was cruising through Hobby Lobby and thought, how amazing would it be to have words of Truth and affirmation surround them while they play? So this wall was born. As with all of the other pieces on the walls, I had to make sure I hung these high enough so the girls couldn’t pull them down. I also got this ah-mazing rug for the middle of the room. It’s seriously the softest rug ever. My girls like to lay down and make “rug-angels” (think snow angels but with carpet). I honestly don’t think I’ve ever felt a softer rug under my feet. Mine is 5’3″ x 7’6″. So there you have it! What do you think? Tell me in the comments! 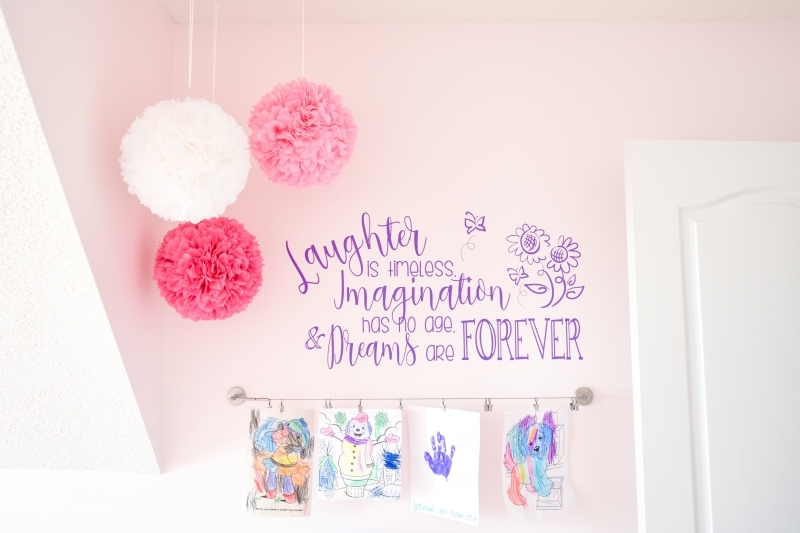 Be sure to check out Part 1 of the Dream Playroom Makeover! Wow! You did a great job😍 And it is lovely to read through the lines how much you love and care about your girls… I have to combine play area and sleeping space in one room but I had no idea how to do it. Thanks to you, I have a vision now! This comment made my day! Thank you so much! I’m sure whatever you create will be perfect! Hi! I love this space, we have the same kitchen but I may order the laundry set now. Can you tell me where you got the shelves to hang all of the books on the wall? 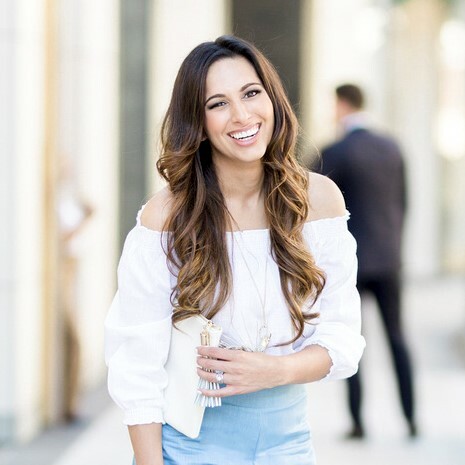 Hi Kristine! Thank you! You mean the shelves with the coloring books? Those are spice racks from IKEA that we painted white! I love this room. Was definitely inspired by it and slowly bought the kitchen set, bookshelf, and washer/dryer. I can’t wait for my daughter’s playroom to come together. Thank you for the great ideas! That makes me so happy! I’m glad I could help!! Wow, you did a great job with the room. I can’t help but notice that it is predominantly pink, house, cleaning, cooking, dolls, dress up. I always worry about that kind of socialization with girls. I think play rooms shouldn’t have a gender. But it looks beautiful, obviously did a lot of work for your kids. I’m doing room for my girl. I love love love this room. Where did u get this kitchen from? I’d love to know that . Hi Maryam! Thank you! There are links to the kitchen in the blog text and underneath the photos! I hope you love it! Hi Amy! Thank you so much! Shoot me an email and let me know what you have in mind and I’ll see how I can help! Wow you are obviously a super devoted mum for putting all of this together! I can’t help but wonder why you only have toys that are geared toward domestic “keep house” play like cooking and cleaning. Have you heard of GoldieBlox? It’s a construction set that teaches engineering skills and is designed for girls…It’s never to early to get a girl into STEM! Especially when women only make up 20% of the workforce! Definitely would be a great addition to the words of truth and affirmation section! Thanks, Lucy! My girls have lots of toys that you can’t see in the photos; they love to build and play with cars and tools and all kinds of stuff. Their favorites are dress up and “playing house, though, so they love those areas of the room but have lots of other options in the storage boxes and in the play area they have in our living room downstairs. Thanks for reading! This space is my daughters dream come true! Aw thanks! It’s a fun room! I could seriously live in this space. 😂 I love it all!! Thank you, girl! I love to sit up there! Oh girl! It’s totally doable!! Shannon, I love this idea so much! I love their ROOM SO SO MUCH!!!!!!!!!!!! I wish we had the space for a play room, you did an amazing job! Why am I jealous of your daughter.?! hahah this is Amazingggggg!!!! Ha! Thanks girl! I think I’m going to read them all these comments and be like YOU GIRLS HAVE NO IDEA HOW LUCKY YOU ARE AND HOW AWESOME YOUR MOM IS! Hahaha! I bet your girls love playing in here! You’ve done a great job pulling together all of the elements! There’s plenty to play with yet somehow it still doesn’t look cluttered. Bravo! They really do! And THANK YOU so very much!! I love that corner, too! It’s so fun! Thanks, friend! This playroom is amazing! Totally saving this for later! 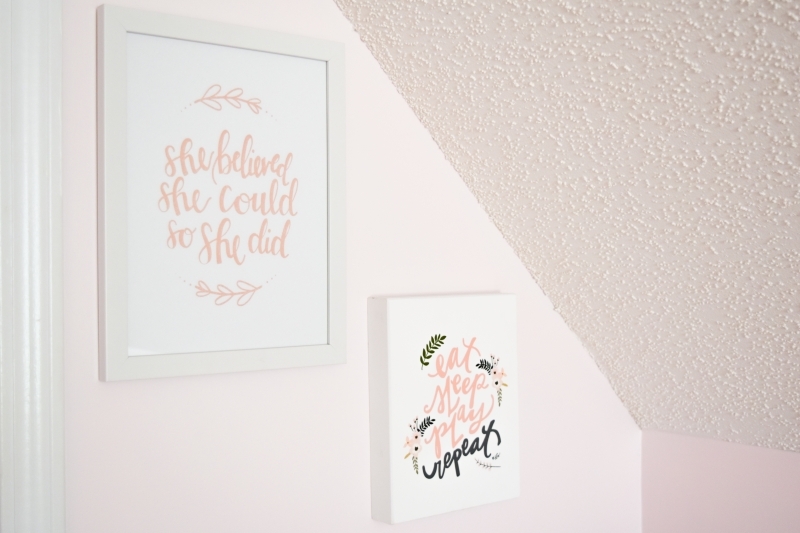 We’re redoing my youngest’s room and this has so many good ideas! Thanks for sharing! Thanks, Janette! I would love to see it when it’s done! Thank you!! It was so fun! I LOVE that bookcase! Such a cute playroom you have some lucky littles!! I love it! My favorite pieces are the Home storage bookcase, the play dress up organizer, and the bloom pillows. Thank you! It’s all so fun, isn’t it? I am absolutely in love with this entire playroom! You did an amazing job and I’m sure the girls just love it! Geez louise I am so jealous of this playroom! 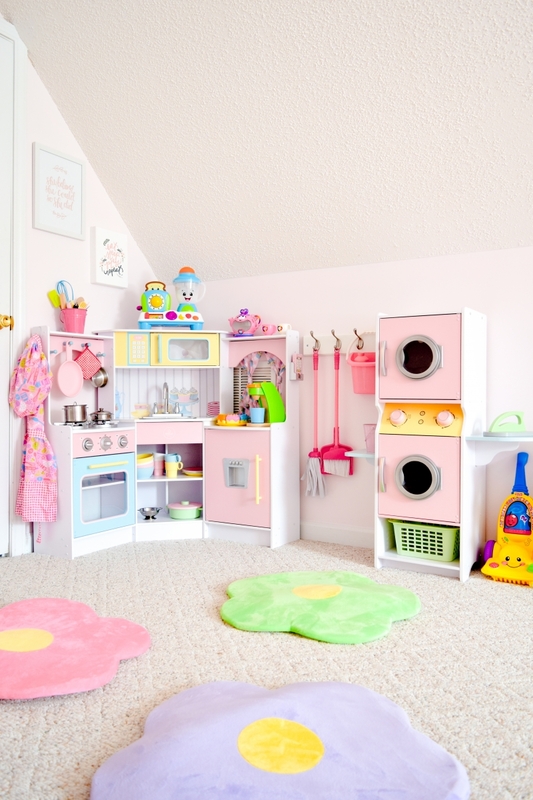 I love the baby doll area and the laundry room?!?! So flipping cute! Thank you!! My girls love that part, too! Everything is so cute- you thought of every detail! I’m obsessed with the bookcase, it’s so cute! Thank you so much! I certainly tried to! Haha! I love being up there! You did an AMAZING job on the playroom! 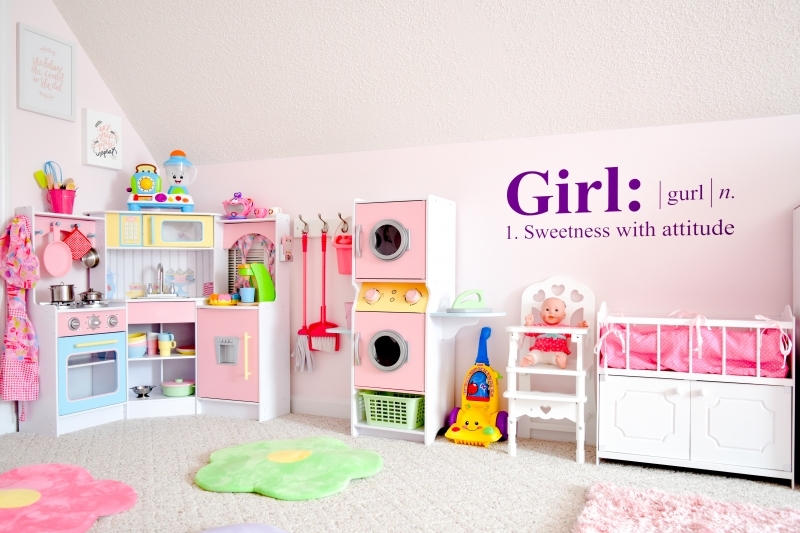 It truly is a little girl’s dream room come to life. Kudos! Thank you, Cait!! We’re excited about it!! I absolutely LOVE it! Aya would love this as well. 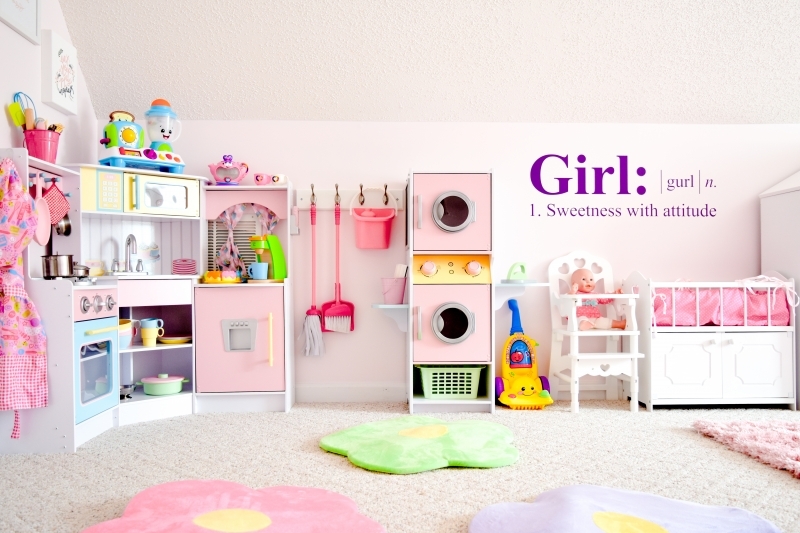 I am feeling inspired to redo her playroom as well after seeing this! Thank you, my friend!! Let me know if you do it! This is the sweetest playroom I have ever seen!! 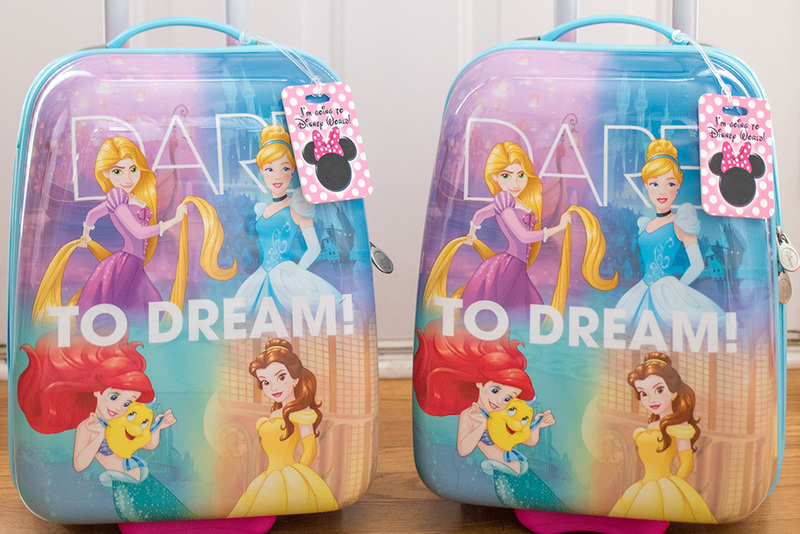 You have got some pretty lucky little girls! Thank you so much! They don’t know how good they have it! Such a pretty and fun space! I love the pink on the walls too, it’s so perfect! Thank you! We definitely have a lot of fun up there! I love this! 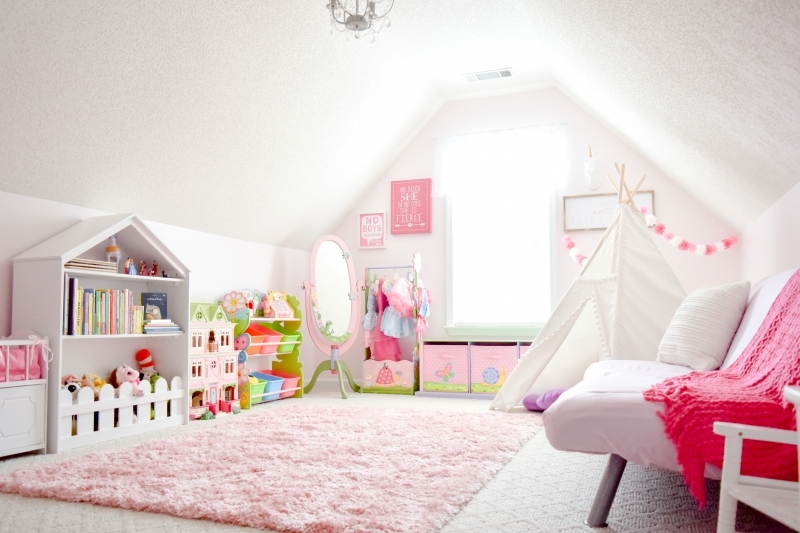 The whole room is so bright and colorful and adorable! 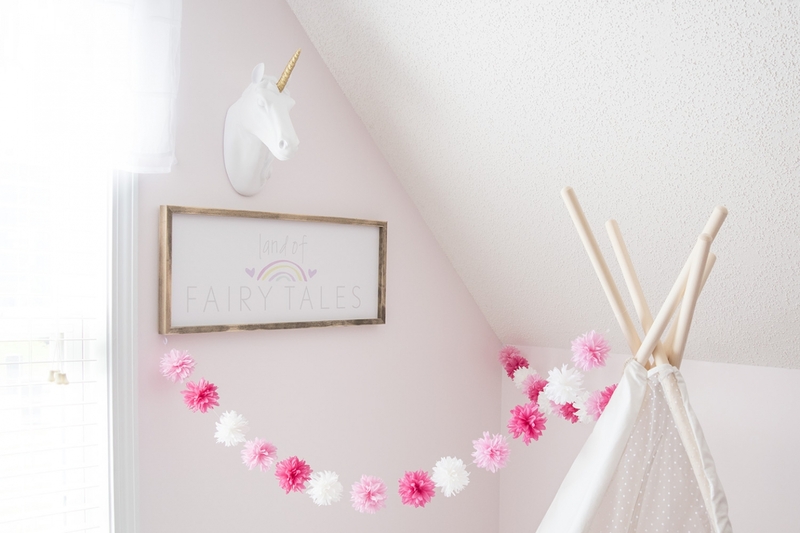 I am about to redo my daughter’s room and I definitely will have to try some of these ideas! This is such a dreamy space. My daughter would love this! Great job on the design! Thank you so much! I wish I had this when I was a kid! Oh my!! This room is more than perfect 😍 I am in the process of redoing my kids’ playroom, so will be using A LOT of these ideas. Love the kitchen/laundry room and the art table area! Good job momma! Thank you so much!! I can’t wait to see your remodel!! Oh my word! Thank you! I wish I had it when I was little, too! Thanks again! Thank you, Sara! Both are so fun! Their room turned out so good. It’s so girly. I love it. Thank you, Jasmine! 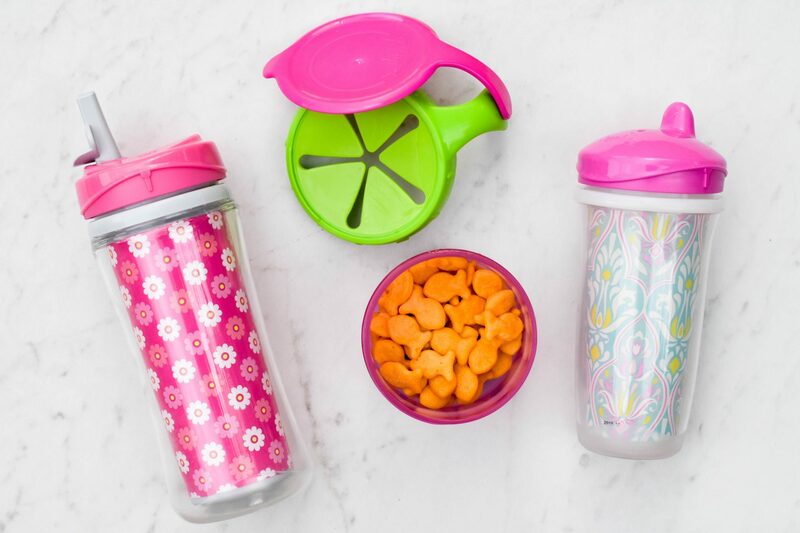 We are definitely girly girls over here! Wow you did SUCH a great job with this play room! I love the little washer and dryer! 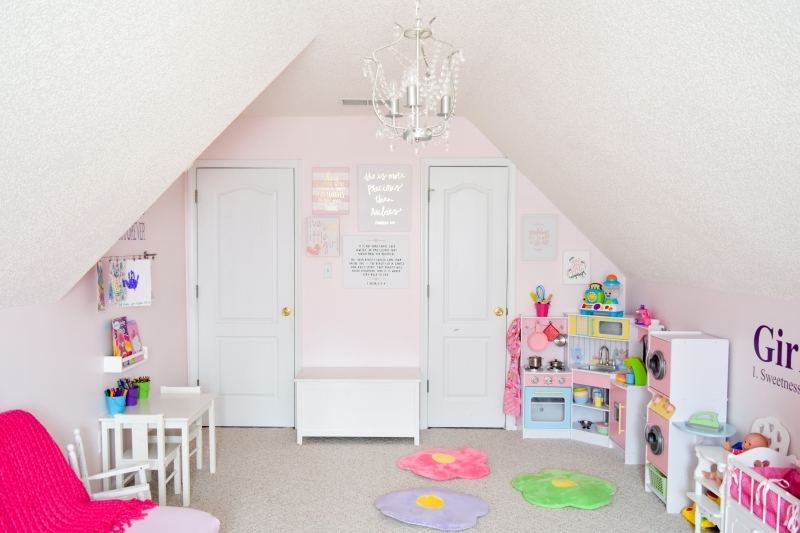 This is a little girls dream room! You did such a good job! Thank you, Ashley! I kinda wanna live in there! 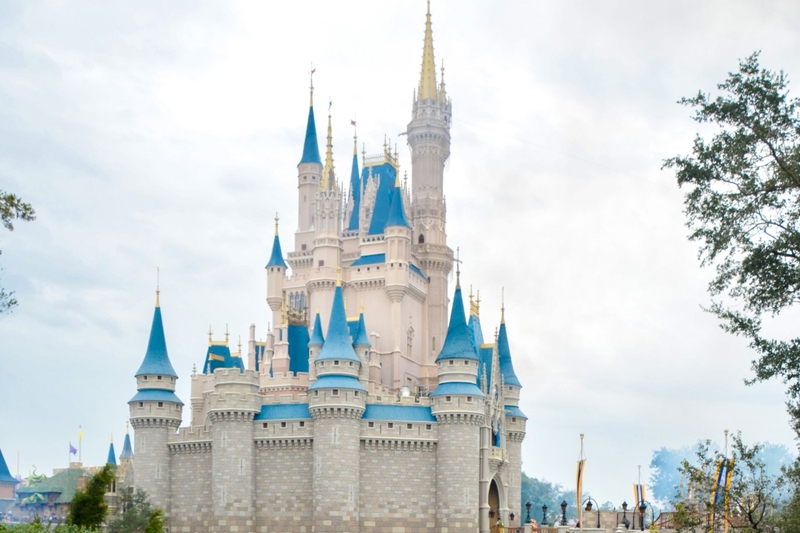 It’s so magical! If I loved part 1, part 2 was the whole perfection. Everything is so beautiful. Oh my word! Thank you SO much, Sarah!! So sweet. Thank you! Wow, Shannon, this room is so magical and so worthy of Pinterest, I mean seriously! Love, love it!